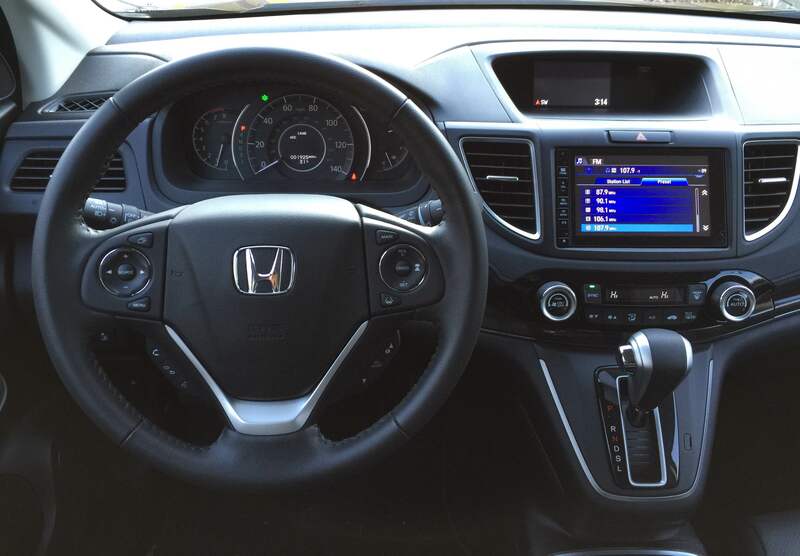 The 2015 Honda CR-V gets a mid-cycle refresh this year with a slate of changes designed to help it keep up with the growing number of competitors in the CUV market. There are plenty of good improvements that will keep it from being left behind, but won’t quite make it a standout from the other guys. They start with giving the CR-V an updated look that make it more stylish and appealing with better-looking wheels and chrome accents here and there to jazz it up. The front end looks very much like a sedan with a new glossy black grille that gives it some visual punch. 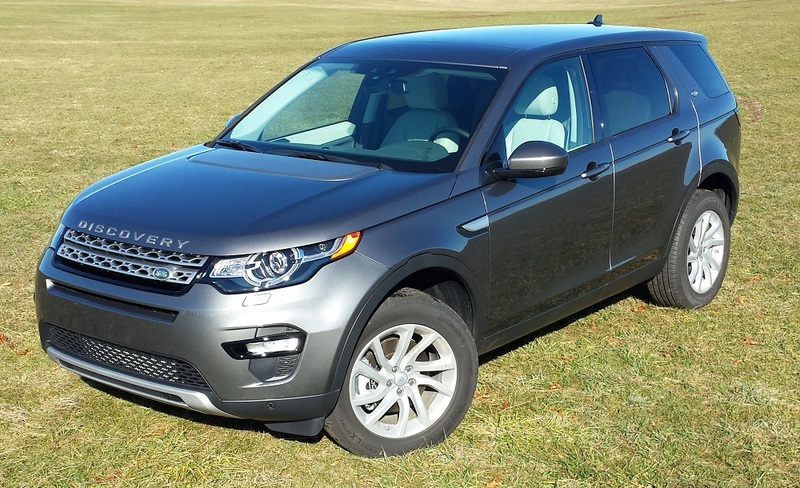 In the back, it’s still got a boxier look that firmly plants it in SUV territory and hints at the ample cargo room. This isn’t a full-size SUV but it’s just shy of giving you the space and utility that you’ll find in one. The interior, too, has seen improvements that make it look and feel better and much more modern than the outgoing version. There are better materials throughout with more surfaces that are soft to the touch and, although there is still a lot of plastic, the quality makes it look nice rather than cheap. This is a family car, so surfaces that look nice at the same time that they’re tough and durable are a definitely plus. The console between the seats has also been completely redesigned, and it’s much improved. There’s a single padded cover over a large storage bin that has two USB ports, an HDMI jack, and a 12-Volt outlet. The area in front has adjustable cup holders along with plenty of space for storage of small items and a second 12-volt outlet. The interior space is impressive, with high seating positions that give the impression that the CR-V is bigger on the inside. Front seats are comfortable and supportive and the rear features two contoured seats that make them easy on long drives. 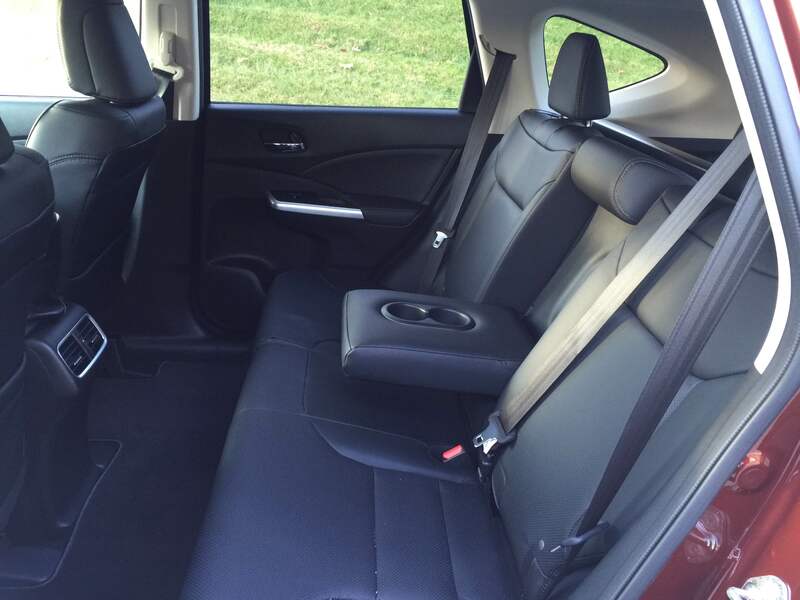 The rear center passenger will ride in slightly less comfort, but the flat floor makes it much easier to bear. The load floor just 24″ above the ground — the lowest in its class — makes cargo loading easy. There are 37.2 cubic feet available with the seats up or you can fold them very nearly flat and get 61.4 cubic feet instead. 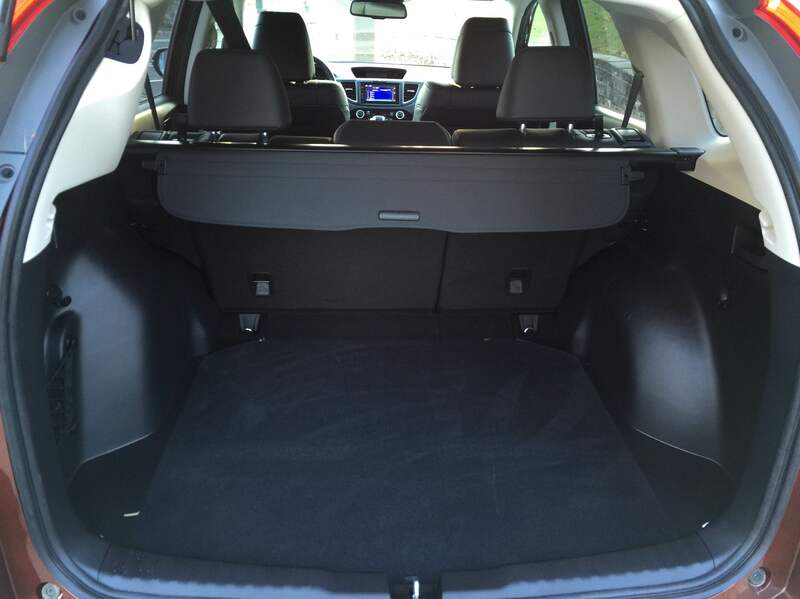 There is ample space for loading up the car for weekend getaways or hauling stuff home for that weekend project. 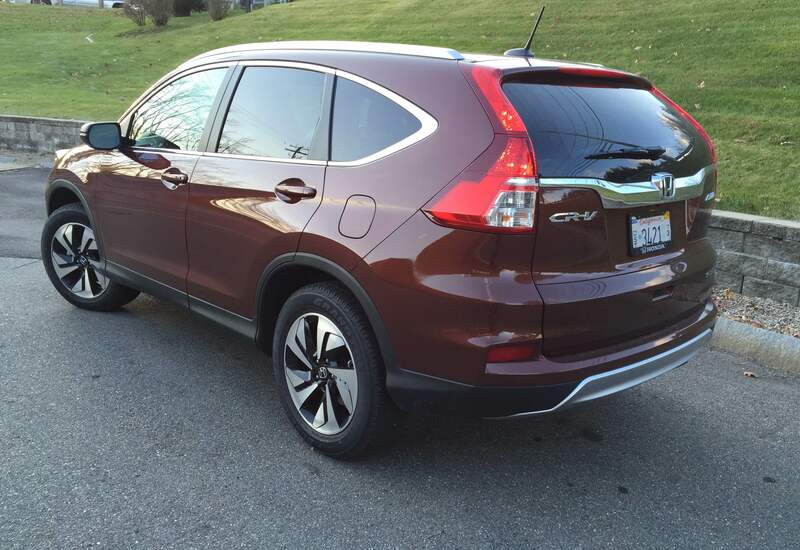 The one area where the Honda CR-V could use a little boost is in the engine department. 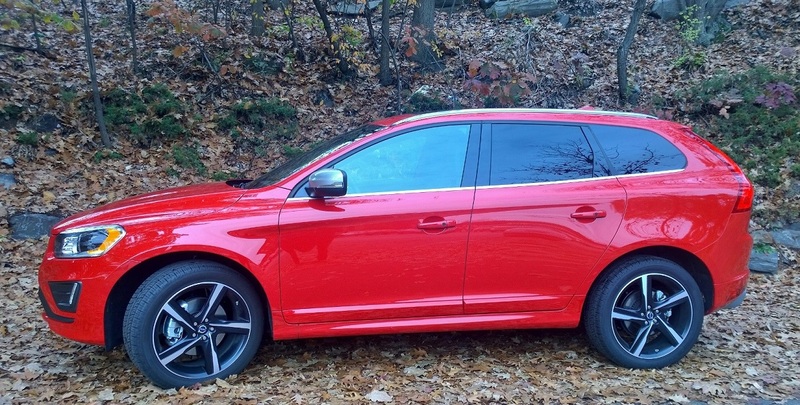 It’s equipped with a perfectly adequate 2.4-liter direct-injected four-cylinder engine with Earth Dreams Technology that has the same 185 horsepower. It does get a slightly higher 181 lb-ft of torque but this just isn’t enough to overcome a lackluster drive experience. That extra torque does make it much easier to drive onto the highway without having a panic attack, but it does nothing for making the ride enjoyable. 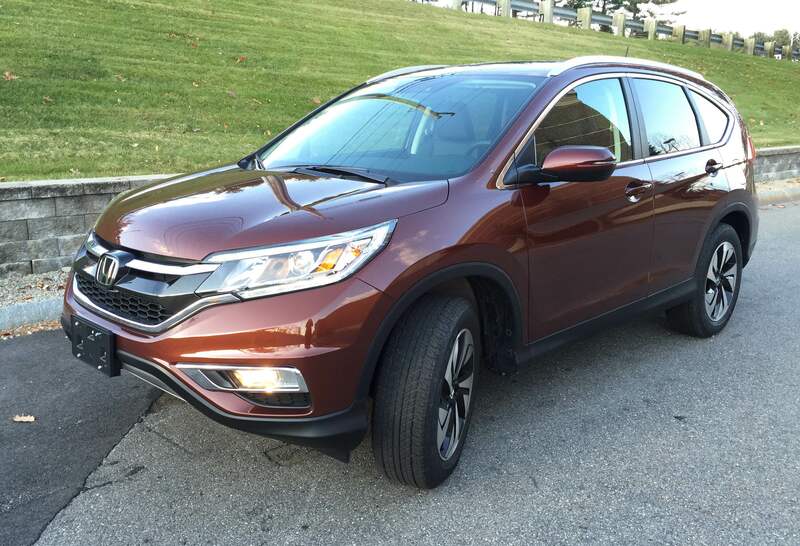 The 2011 to 2014 CR-V’s 5-speed automatic has been replaced by a CVT which is fairly average compared to others in the class. It’s not as whiny as some, but those who are not fans of CVTs in general will find it tolerable but not praiseworthy. Handling is solid and predictable with suspension that helps provide for a very smooth and level ride even on rutted roads. You won’t be letting loose and having fun taking it along winding roads, but just the same, you’ll easily drive those roads securely and comfortably. You’ll drive those roads confident that you won’t be crying at the pump with fuel economy ratings of 26/33/28 which make it a very economical drive. It’s also easy on your wallet when you buy the CR-V with a starting price of $23,320 for the base LX model. 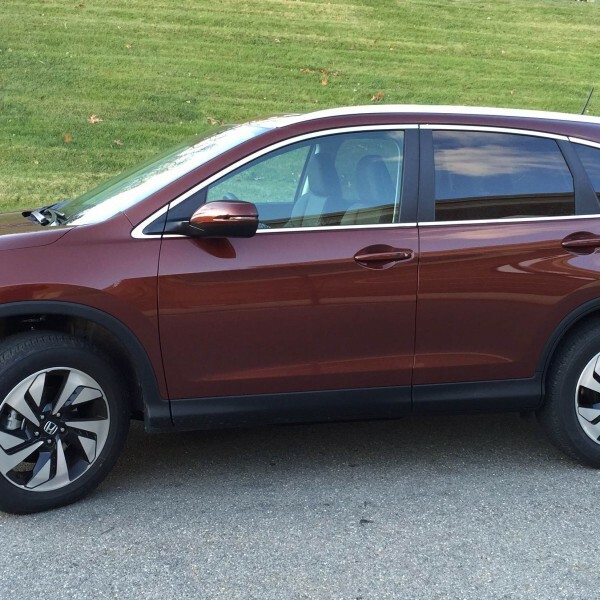 We drove the 2015 Honda CR-V AWD Touring which is the top of the line and comes in at a considerably higher $32,770. That’s still a very reasonable price considering the comfort, utility, and fuel economy with a variety of trims in between those ranges that will let you get a lot of car whatever your budget. 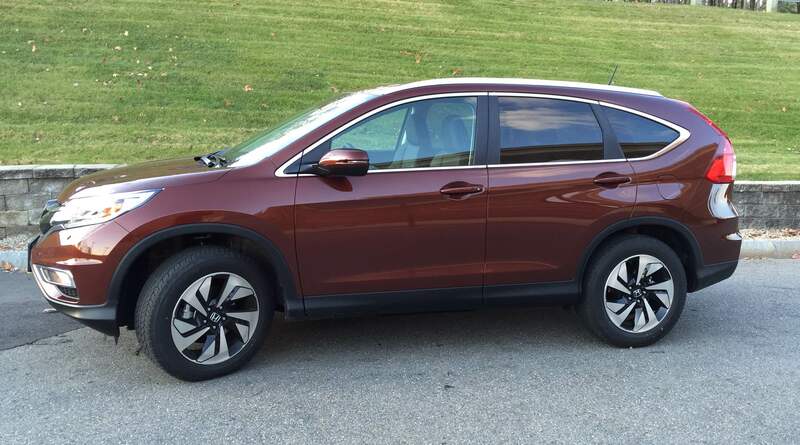 The 2015 Honda CR-V practically started the whole crossover movement, and the changes for 2015 assure that, although the segment has grown, the CR-V is still a solid player.